Heat oven to 375°F. Press 4 biscuits into 5-inch rounds on ungreased large cookie sheet. 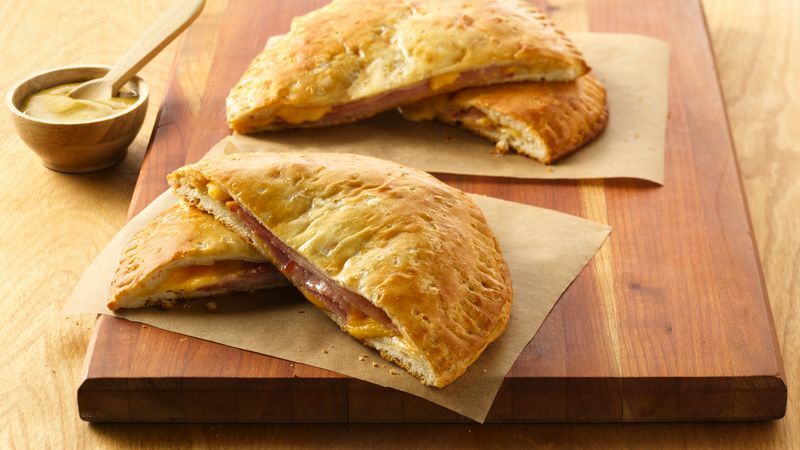 Top each with 2 slices cheese and 2 ounces ham. Press remaining 4 biscuits into 6-inch rounds; place over ham. Press edges with fork to seal. Beat egg and water with fork; brush over biscuits. Bake 13 to 18 minutes or until golden brown. Cut each in half. Serve warm.